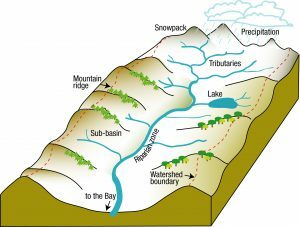 The dictionary defines a watershed as the area of land that drains rainwater into a common body of water such as a creek or bay. 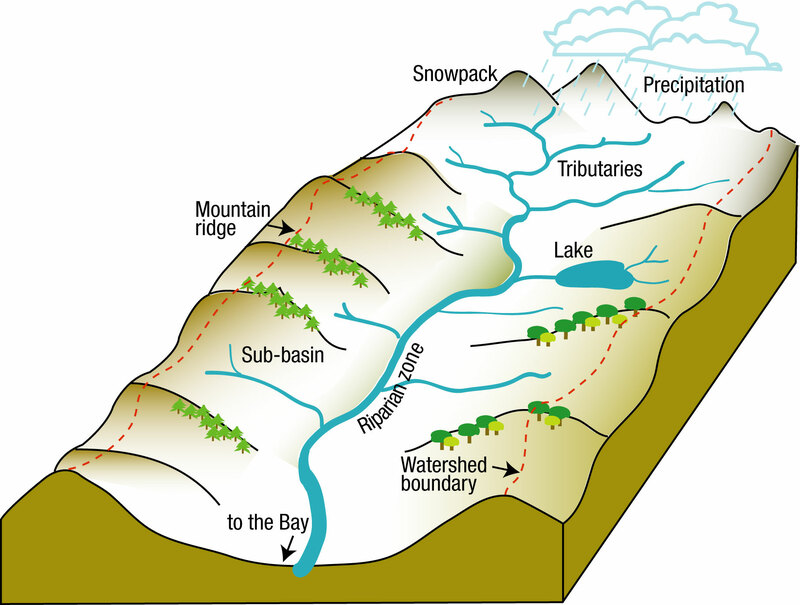 The Bay Area Watershed is made up of many small watersheds, each collecting rainfall and waste water that ultimately flows to the Bay. All of the water we use in the Bay Area flows directly to the Bay or the Pacific Ocean. But a watershed is more. It is the interdependent web of living organisms that inhabit a geographic area and depend on it for clean soil, air and water. Everything we do, from mountaintop to marsh, affects the health of local water, soil, air, wildlife, our families and communities.